The current trend right now is to jump on the Social Media bandwagon. This could be one of the top mistakes that businesses make on Social Media. Getting on a platform because everyone else is! Apart from this, there are several other mistakes that a business can make. Let’s take a look at the top five! Every smart marketing activity has a strategy – a plan. And Social Media Marketing should not be anything different. Before jumping randomly onto every platform you can think of, sit down first and make a plan. Ask yourself some questions. Why are you doing this? What are you going to do? Who are you planning to reach? And why? What do you hope to achieve? Once there is some clarity, you will find that what you had in mind does not involve jumping on 25 different channels – but something entirely different! Not knowing where your audience is or who they are! 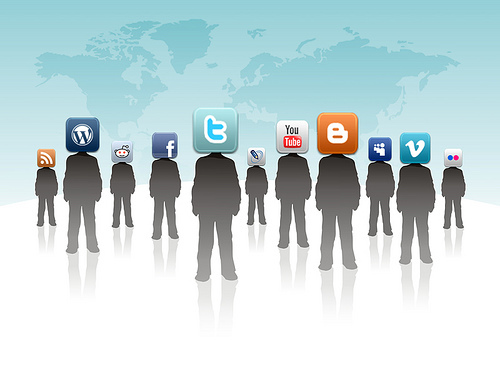 Do you know what Social Media networks your target audience uses? It is vital that you do – so you can engage with them there. There is no point in spending all your time and energy on a channel where your audience is not present. And how well do you know your audience? Do you know what their needs are? Don’t make any assumptions about them. There is plenty of data about them that is available. Make sure you study that data, draw some insights about them and then engage with them meaningfully. Each Social Media platform has a distinct character. It appeals to a certain kind of people. And content that will work great on one platform, will not work that well on another. This is one place where the “one size fits all” kind of thinking won’t work. So creating one kind of content and posting that everywhere is just not going to cut it. Study each platform / network that you would want to use, well and learn all about the kind of content that would work well on them. (There are many guides available online) and then create quality content that works great on specific platforms. The kind that works on Twitter, won’t work on Pinterest, for example. Social Media is for engagement. It is not a one way street. It is a fatal mistake to ignore comments or feedback or questions from customers. When you project yourself as a brand that is alive and thriving and vibrant on Social media, but fail to respond to any input from customers, it can prove to be very detrimental to you and your brand. Customers expect an immediate response – and that is the very essence of Social Media. There is a huge expectation for brands to engage with its customers – and when that doesn’t happen, it is fatal. So respond to comments quickly and engage with influencers. And if you hear anything negative, deal with it at once to make sure you retain your credibility and your followers. Listening is one of the great advantageous things one does on Social Media. It helps a business get to know what its customers is saying about it and about the competition. A business can get to understand a lot by just listening. You can find out about your customers – what they need. What their pain points are. You can find out what people are saying about your brand. About the competition. You can pick up leads and potential customers and can engage with them. And if there are any customer care issues that need to be addressed, you can do so quickly. A business can miss out a lot by not ‘listening’ enough.